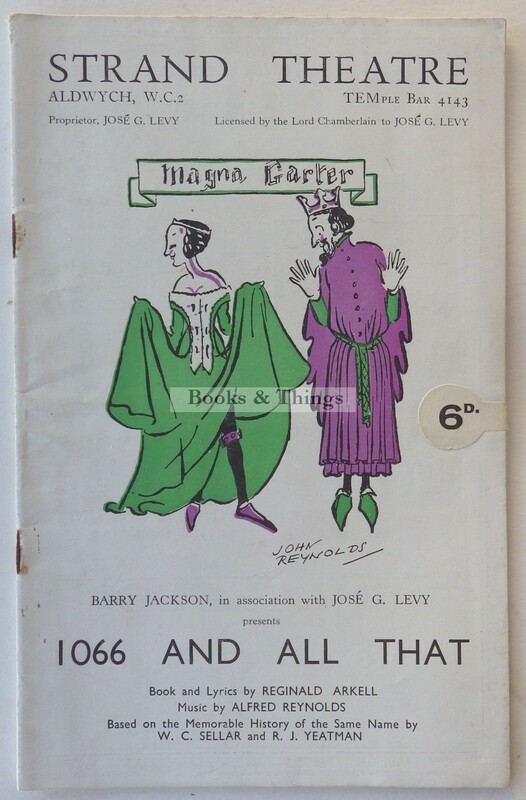 Reginald Arkell & Alfred Reynolds: 1066 and All That programme. Strand Theatre 1935. Some illustrations; 24 pages, 220 x 140mm, pictorial wrappers. A musical adaptation of the play. Category: Programmes. Tag: 1066 and All That programme.